He may have lost to Juan Martin Del Potro in the Farmers Classic in Los Angeles yesterday, but to Celebrity Optimist, tennis pro James Blake is a perpetual winner. Not only does the fund offer the opportunity for the population to donate to the cause of helping to fight cancer, it offers a program called “J-Block” where James’ fans have the opportunity to purchase merchandise, which in turn contributes to the fund as well. The fans get to both celebrate their favorite tennis player and help in the ongoing battle against cancer. Now to that we say, match point! 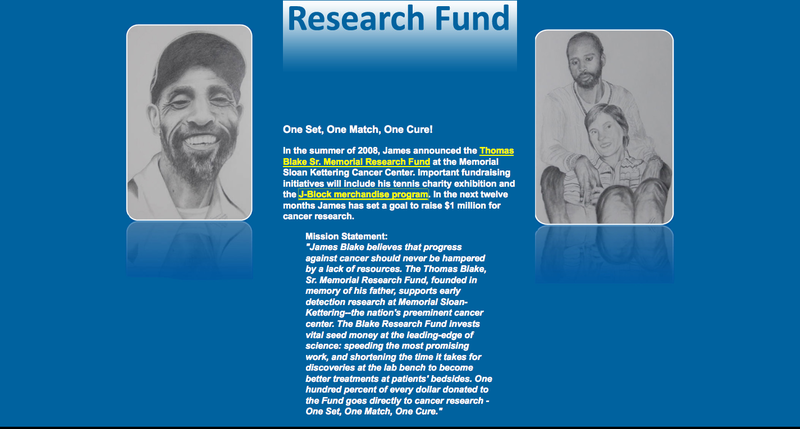 UPDATE (1/21/2012): Please also refer to The James Blake Foundation, also dedicated to cancer research and finding a cure.